Soffits and fascia are two key components in the overall structure of a roof on a home or property. The soffit is the surface underneath the overhanging part of the roof. One of the main functions of soffits are to help with ventilation in the roof and attic. Soffits are designed to be simple with a few holes added in for airflow and circulation. As the air comes in through the holes, it keeps the moisture away from the home. Overtime, attics can start to rot because of moisture; soffits are necessary to insure that your roof and attic stay dry! One of the most popular materials used for soffits is vinyl because it is extremely affordable, water resistant and comes in a variety of colors enabling the soffit to blend in with the rest of your home. In addition, vinyl soffits help regulate the temperature in the attic, saving you energy and money! 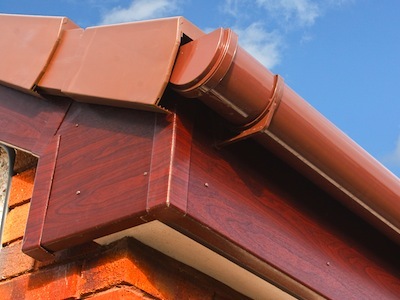 The fascia connects the edge of the roof to the bottom of the gutter and protects from Water damage that can happen when it rains or hails. Besides the functionality of the fascia, it dramatically increases the overall appearance of the roofline. It keeps your home dry by directing water away from entering the home. The soffit and fascia work together to provide a beautiful and functional roof. These two components are necessary for a long lasting and sturdy roof for your home. Damaged soffits and fascia can cause serious problems with moisture getting stuck inside the roof further leading to rotting damage and even mold developments. Proper upkeep and installations from All Storm Solutions are the only way to guarantee that your roof and home will last throughout the years. All Storm Solutions has been installing and repairing soffits and fascia on homes for over 20 years. It is essential that the soffit and fascia are working properly to insure that your roof and home are properly protected come the next storm. We make sure your home is built to last long throughout the tough storm seasons we face. All of our expert contractors are highly detailed and take pride in delivering the best service possible to our clients. Give us a call and an expert from All Storm Solutions will come to install or repair the soffit and fascia on your home or property!